In our homes we buy provisions every month. When the month begins we get the grocery which our family needs.The word “Annachi” flashes in my mind when I think of the word grocery. When I was small the provision list will be prepared by my mother and send to Annachi shop and he will send the things home.But in today’s life style buying provisions or grocery for the family has almost turned to be a family outing.Today there are super markets or stores where we get all under one roof. We have different varieties of products,various brands with different composition also. We can choose as per our requirement and also buy according to our budget only thing we should have a list of what we are going to buy. Instead of posting a recipe this time I thought of giving you all a list this will be useful for beginners. 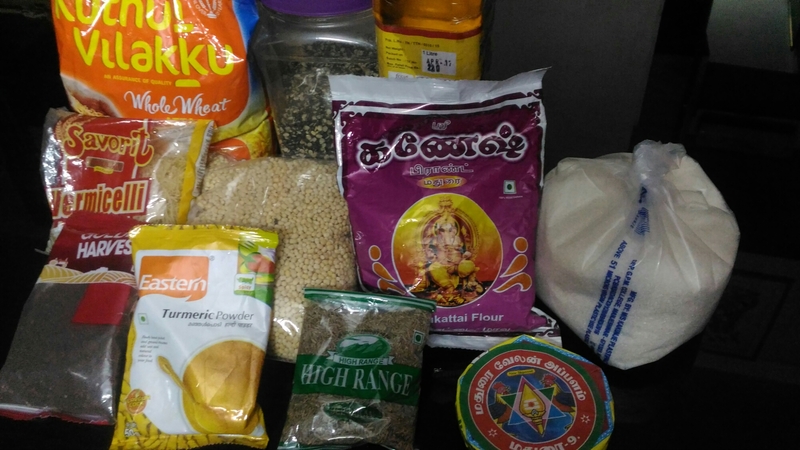 Sentimentally when my mother writes the list she starts with turmeric powder and naturally I too follow the The balance of some provisions can be used in the following month accordingly one can reduce the quantity. By usage one can find out the actual requirement.One can adjust the list depending on the family’s taste and habit. Essence both vanilla and Rose. Oil requirement depends on the family’s style of cooking. 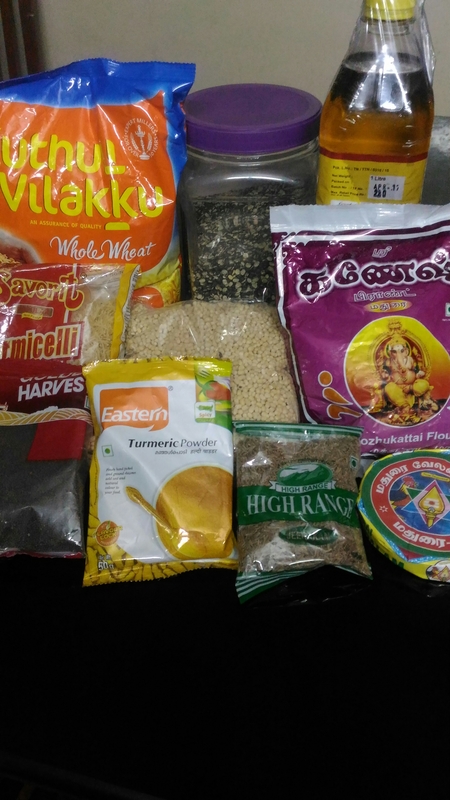 All can be bought in small packets after using can store in fridge as it can be used the following months too. All these too very small quantity. These too will be for months . I think almost I have written entire list if I have missed just include it. We cook a lot curries with raw banana .Raw banana fry is the most common dish but today I am going to share with you a simple and easy recipe with it.This recipe requires very little oil. 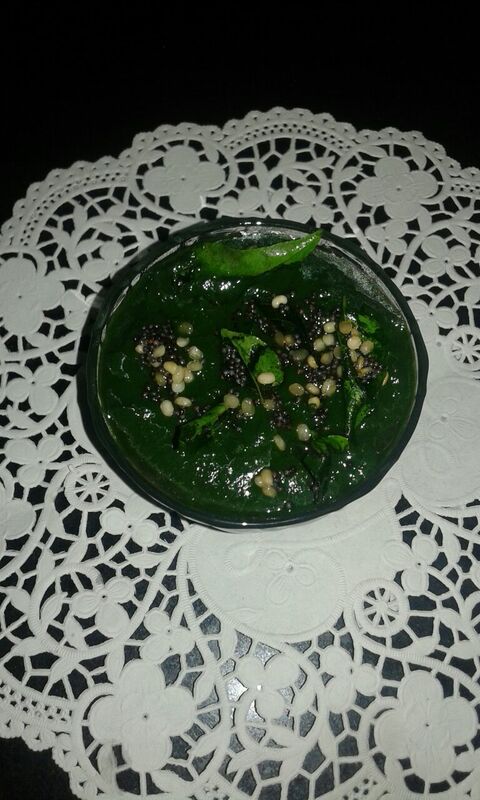 It’s very healthy dish and has high nutritive value. Coconut scrapings____2 or 3 tbs. 1. Cut raw banana into two halves.cook in water.It should be cooked not mushy.That is it should be firm enough to grate or crumble. 3.When cool remove skin and grate them. 4.To a pan first add oil then add mustard seeds when it splutters add urad dhal. 5.Now add chopped onions,green chillies and curry leaves. 6. When onion gets sauted add grated banana and coconut. Then add required amount of salt and mix well. 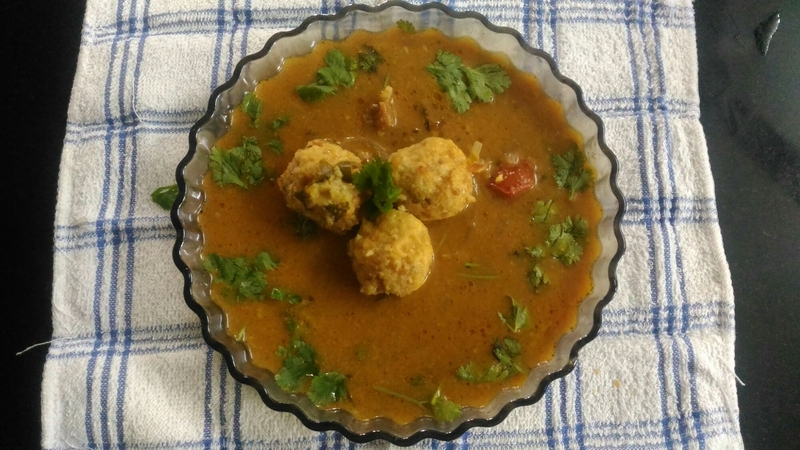 Serve with sambar rice with papad will be the best combination. Optional: can add 2 or 3 pinch of asafoetida. As the name suggests parupu urundai kulambu is a traditional recipe.This is prepared with lentils.It is different in taste. Toor dhal alone 200 gms. Green chillies or red chillies accdg to taste. 1.soak dhal in water for 2 hrs.Grind red chillies with the soaked dhal. 2.Heat oil in a kadai.Add chopped onions,curry leaves and grinded dhal to it.Add required amount of salt to it.Mix well. 3.If needed add a dash of oil so that it doesn’t stick to the kadai. 4.Now add coconut scrapings too to it. 5. Remove from fire and when cool make as balls. 6.Keep in a steamer and steam for few minutes till it gets cooked. Now the parupu urundai or balls are ready. Now we can see the gràvy part. Tamarind a lime size.soak in water and extract pulp from it.keep aside. 1.In a kadai heat oil add mustard seeds after it splutters add urad dhal. 2.Now add onion,curry leaves and tomato ea. 3. Now add tamarind water to it then sambar powder and salt. When it is done can add the coconut scrapings grinded to it. 4. Finally add parupu urundai sdeways one by one slowly. 5. When it gets cooked finally add chopped coriander leaves. We Indians have varieties of food for breakfast. 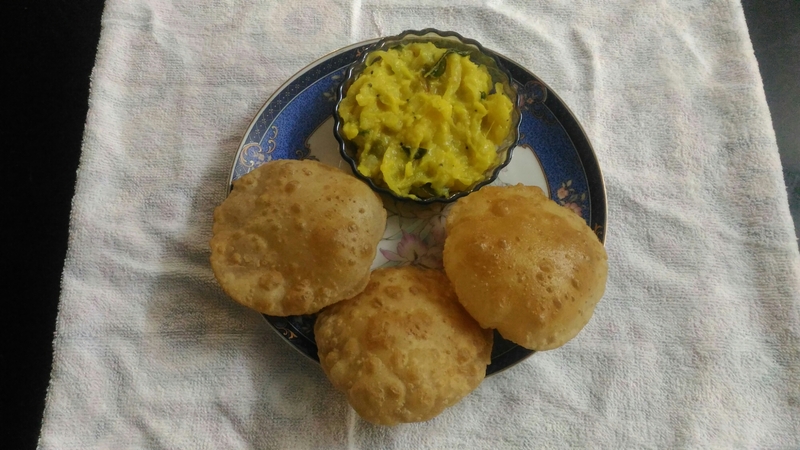 The one an all time favorite for many is poori and potato masala.This curry can be eaten with chappathi also. 1.wash and pressure cook the potaoes. When cooked pee and mash it.keep aside. 2.To a k adai add 2 or 3 tbs.oil add 1/4tsp mustard seeds when it splutters add urad dhal . 4. Now add little water so that it cooks. 6.In a bowl put the gram flour little turmeric powder,salt add little water to mix well. 7. Now add this to the CURRY. 8.The CURRY will thicken . 9.Finally add chopped coriander leaves. It is a very popular deep fried Indian flat bread.In South India Pooris are always there in the menu during festivals and marriages. 1.Take 2 cups of whole wheat flour,sooji,salt and oil. 2.Pour water little by little and mix it to make a dough. 3.Knead it well.The dough should not be too soft but a little stiff. 4.Make small to medium size balls.Now take a ball and roll out as Pooris using rolling pin. The circles should neither be too thick or thin. 5.Apply oil instead of dusting flour.This will not spoil the oil with the flour dust. 6.Keep kadai and pour enough oil to fry Pooris. 7.Heat oil. To check the right temperature of the oil put a small piece of dough into it.It will rise immediately. It should not be browned. 8.Slide the poori from one side and after a second press with a slotted laddle. It will puff up well.Drain in atissue paper. Dough consistency is very important. If the dough is too hard or sticky Pooris will be too hard.Too soft means it will be very soft. Do not rest the dough for a long time.It will absorb more oil. Can add a1/2 TSP sugar to get golden colour Pooris. If u add dry methi leaves to the dough then it’s methi poori. 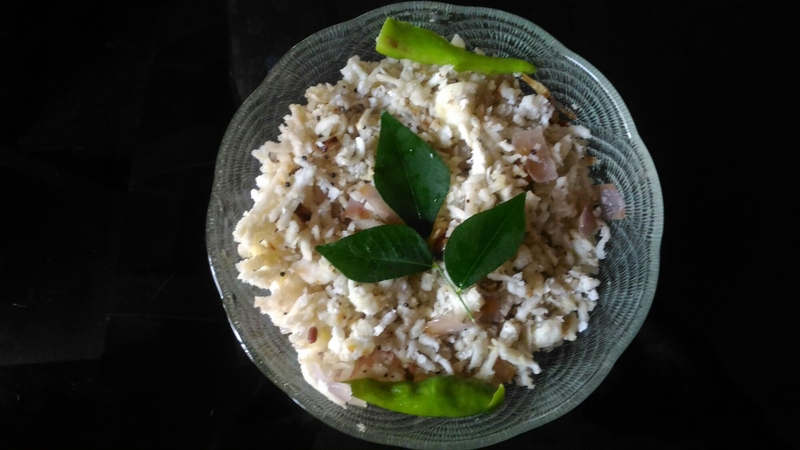 We have different receipes with keerai.Today I thought of sharing a simple and traditional recipe with few ingredients. This recipe with ghee is very good for children.I have done with Arai keerai but palak or siru keerai or mula keerai or spinach can be used. 1.Clean the Greens and remove the dirt and sand by keeping in water for sometime. 2.Remove from water and keep aside. 3.Now in a saucepan or kadai putgreens,garlic,tomato, chilly with water and cook for few minutes. 4.When done remove from fire and allow it to cool. 5.Put in a blender and make it into a fine puree adding salt to it. 7.In a pan take 1 to 1 tbs oiladd mustard seeds when it splutters add urad dhal then curry leaves to it when fried add to the Greens puree. Serve with rice with a dash of ghee. 2.If you are giving for small children can avoid green chillies. 3. Instead of putting in a blender can use keerai mathu for mashing it. Can add a pinch of sugar while cooking greens to retain its color.